Pain that radiates down the back of your leg, numbness or tingling that extends down to your foot, a quick jolt each time you cough or sneeze—sounds like sciatic nervepain, right? Sciatica is leg pain caused by a pinched nerve in the lower back. Although the pangs begin in nerve roots located on either side of the lower spine, they then course through the sciatic nerve, which runs the length of each leg from the buttock down to the foot. The leg agony, called radiculopathy, "is often worse than the back pain," says William A. Abdu, MD, medical director of the Spine Center at Dartmouth-Hitchcock Medical Center. Usually felt in one leg, the sensation "can be intolerable," says Birgit Ruppert, a physical therapist at the Spine Center. "Some people liken it to the nerve pain you experience if you have a toothache." 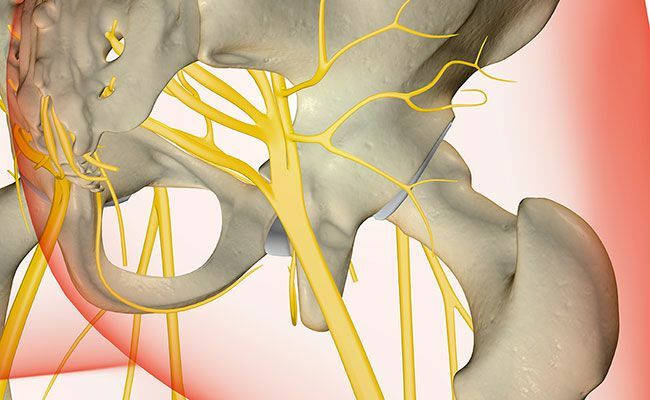 ​The most common cause of sciatica is a herniated disk: When a disk develops a tear or crack and bulges into the spinal canal, it can pinch the sciatic nerve. Usually, symptoms clear up within about six weeks, but for some people, the pain can last far longer. Sixty percent of people with sciatica who didn't get relief from other therapies and then tried spinal manipulation experienced the same degree of pain relief as patients who eventually had surgery, found a 2010 study in the Journal of Manipulative and Physiological Therapeutics. The 120 people in the study saw a chiropractor about 3 times a week for 4 weeks and then continued weekly visits, tapering off treatment as they felt better. In people who responded to chiropractic care, benefits lasted up to a year. "Spinal manipulation may create a response in the nervous system that relieves pain and restores normal mobility to the injured area," says study researcher Gordon McMorland, DC, of National Spine Care in Calgary, Alberta. "It also reduces inflammation, creating an environment that promotes the body's natural healing mechanisms." "You can get relief as soon as the first session, though it takes about 12 sessions to see improvement," says Jingduan Yang, MD, assistant professor at the Jefferson Myrna Brind Center of Integrative Medicine at Thomas Jefferson University. A small study in the Journal of Traditional Chinese Medicine found that of 30 people with sciatica, 17 got complete relief and 10 saw symptoms improve with warming acupuncture, in which the needles are heated. A study in the journal Pain reported that people with chronic back pain who practiced Iyengar yoga for 16 weeks saw pain reduced by 64% and disability by 77%. 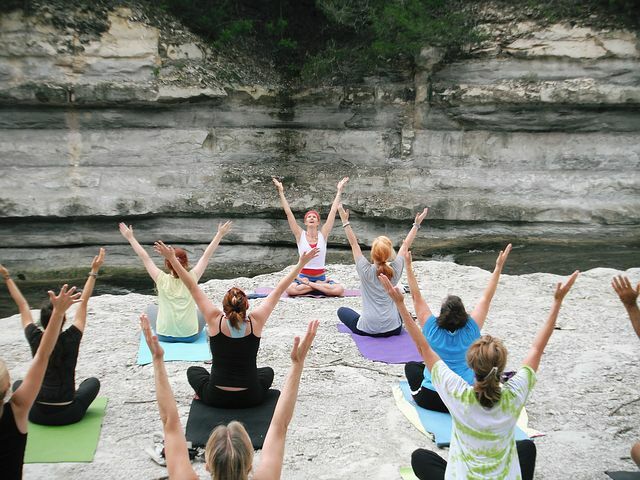 Although yoga's effects on sciatica are less clear, gentle forms may be beneficial. By strengthening muscles and improving flexibility, a yoga practice can help sciatica sufferers "move and function better so they don't fall into a posture that aggravates the sciatica," says James W. Carson, PhD, a psychologist at the Comprehensive Pain Center at Oregon Health & Science University. Don't expect a chilled-out spa massage if you have sciatica. In this instance, trigger-point therapy is best, says Jeff Smoot, vice president of the American Massage Therapy Association. 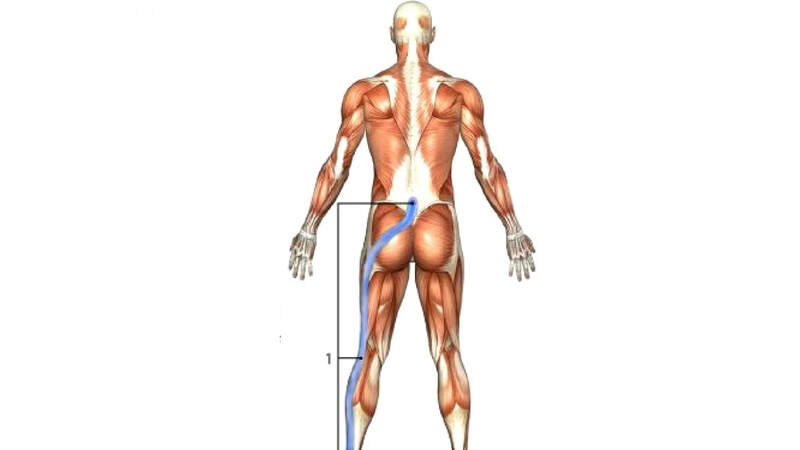 The sciatic nerve sits underneath a muscle called the piriformis, which is located beneath the glutes. "When the piriformis muscle gets tight, it pinches the sciatic nerve, causing tingling and numbness down into the leg," says Smoot. He applies pressure to irritated and inflamed areas, or trigger points, in the piriformis muscle, as well as in muscles in the lower back and glutes. Typically, Smoot schedules treatments 7 to 10 days apart. If patients don't see progress by the fourth visit, "they need to try another form of therapy," he says. Taking a nonsteroidal anti-inflammatory drug, either OTC (like ibuprofen) or Rx, can ease the distress. Because painful muscle spasms may also accompany a disk herniation, doctors sometimes prescribe muscle relaxants or pain-reducing tricyclic antidepressants. (Just don't make any of these 13 common mistakes you're making with your pain meds! )A caveat: "These won't help with the pain caused by pressure on the sciatic nerve," says A. Nick Shamie, MD, a spokesperson for the American Academy of Orthopaedic Surgeons. People whose pain doesn't lessen within about a month and who aren't helped by other therapies may find their pain remedied by an x-ray-guided injection of steroid into the lower back near the sciatic nerve, says Raj Rao, MD, a spokesperson for the AAOS. "The hope is to reduce inflammation within that nerve branch," explains Rao. Because of concerns about side effects, such as loss of bone density, the epidural shots are limited to three a year. Moving is usually the last thing people dogged by sciatica want to do, but it's important to be physically active. "Lying in bed makes it more likely that the pain will last longer," says Ruppert. "Exercise increases blood flow to the disk and the nerve, helping to get rid of the chemicals causing the inflammation." Take 15- to 20-minute walks. If that hurts too much, give swimming or water aerobics a try; there's not as much pressure on the back when you're in the water, says Ruppert. It may also be worth seeing a physical therapist, who can prescribe stretching exercises to restore flexibility to the back or moves that strengthen core muscles, helping to stabilize the spine and reduce the likelihood of a similar injury.